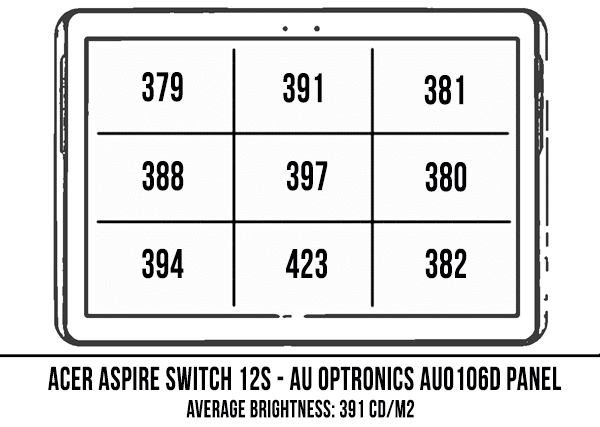 Summary: While an overall good device, it's hard to call the Aspire Switch 12S anything but ordinary these days, in a segment where you can actually find a few extraordinary devices. For the right price though, it could be the right pick for some of you, but until it gets cheaper, your money are better spent elsewhere. 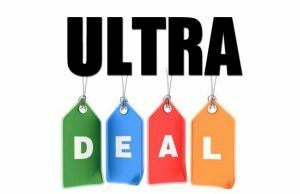 If you’re after a fanless-ultraportable these days and would prefer buying a computer that can actually handle multitasking decently well, you’ll have to go for one of the Skylake Core M offers available in stores right now. 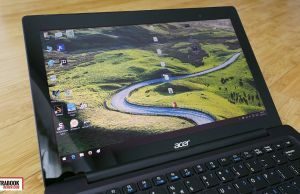 Acer’s Aspire Switch 12S (code name SW7-272) checks all the boxes mentioned above, and based on its build quality, features and pricing, is a premium model in its class. We’ve spent about two weeks with a base configuration of this machine, and this post gathers our impressions after this time, so you’ll know what to expect if you plan to buy one. 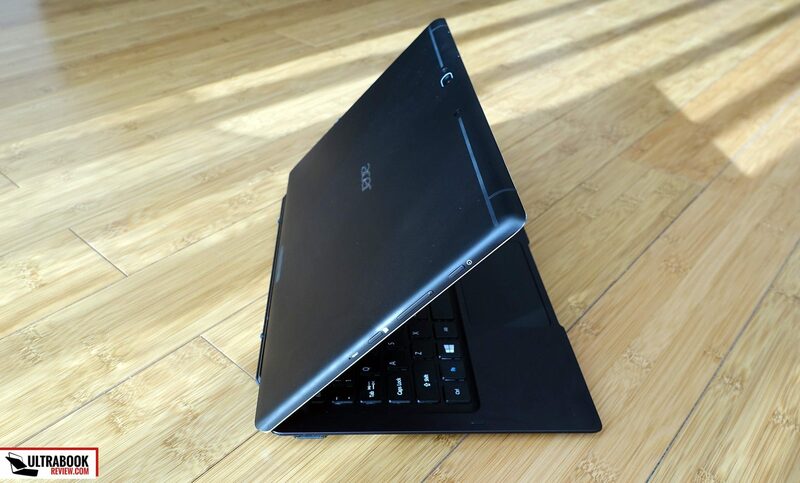 For those familiar with Acer’s products, the Aspire Switch 12S is a detachable 2-in-1 with a 12.5-inch display. In other words, it works as a stand-alone tablet, as the hardware and the battery are tucked behind the screen, but also as a notebook when hooked up to the keyboard-dock included in the bundle. But is it actually worth buying? Well, that you’ll find out if you’ll read the post below. 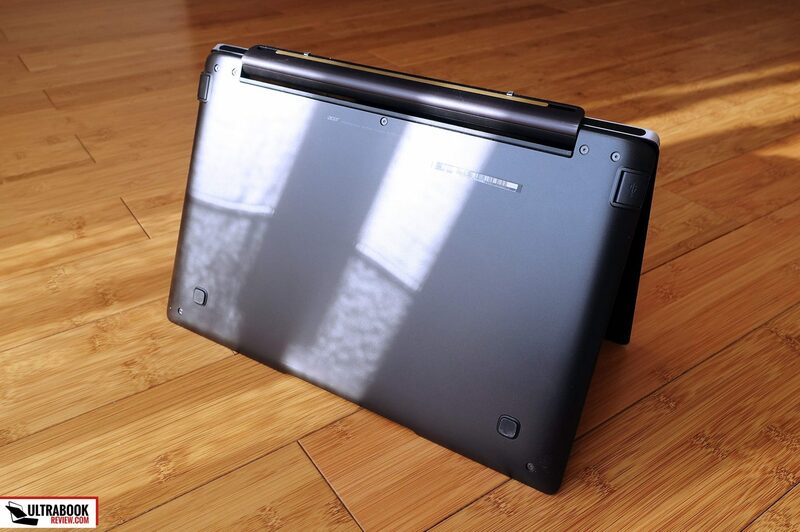 I doubt anyone could argue against the Aspire Switch 12’s looks and craftsmanship. 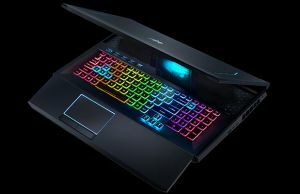 In fact, I’m pretty sure this is one of the best made computers I’ve seen coming from Acer in the past years. The slate is almost entirely covered in anodized aluminum, with only a few plastic strips at the top for the wireless antennas, but you’ll hardly notice them, as they blend well with the overall design. 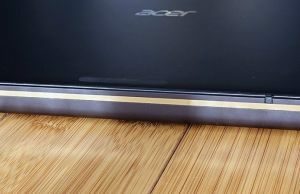 Acer went for a dark anodized finishing, which should face scratches well, but at the same time shows smudges and finger-oil easily and as a result, it’s rather difficult to maintain in pristine condition unless you wipe it off several times a day. That aside, the tablet feels solid in hand and doesn’t squeak or flex when grabbed firmly, and it’s fairly light as well (800 grams). The edges are rather sharp and harsh to your fingers though, especially on the bottom, but my grin is with the footprint, which I would have preferred was more compact. The Microsoft Surface Pro 4 or the Samsung Galaxy TabPro S show this is possible. But anyway, let’s turn our attention onto the dock. This one is well made on its own and fits the tablet perfectly. Notice it has a small dent in the middle, in order to leave a gap to grab the screen and lift-it up easily, a minor detail you’ll appreciate in everyday use. 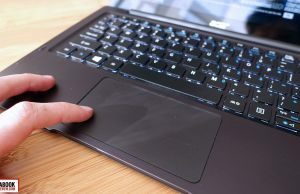 The dock and the tablets latch-up trough a magnetic mechanism with zinc-alloy charging connectors, which means the keyboard-dock is powered by the slate and no physical connectors with fragile pins are required, plus the pins are reversible, so you can hook up the tablet with the screen facing towards you (in a laptop-mode) or away from you (in a presentation-mode). At the same time, latching and unlatching the two parts is helped out by the magnets and takes no effort at all to perform. Very well done here! The hinge is well designed too, solid, sturdy and able to lean back to about 170 degrees. At that point the ensemble is top-heavy, but that’s not designed for desk-use; however it’s going to be very useful for those of you who like to rest your computers on your thighs while working in bed or on a sofa. So again, well done! Metal is used for the dock’s interior, on the palm-rest and keyboard area, while plastic is used for the belly. 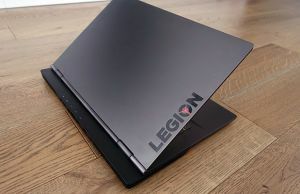 It feel’s nice though and on a first look it doesn’t even seem any different from the anodized aluminum used for the other areas, yet it helps keep the weight down to some extent. 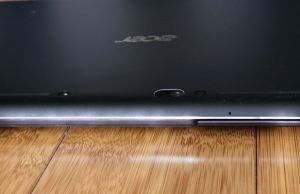 The dock still weighs about 700 grams, so the two combined weigh around 1.5 kilos (3.3 lbs), which is heavy for a 12-inch computer, but otherwise on par with similar devices like the Asus Transformer Book Chi T300. 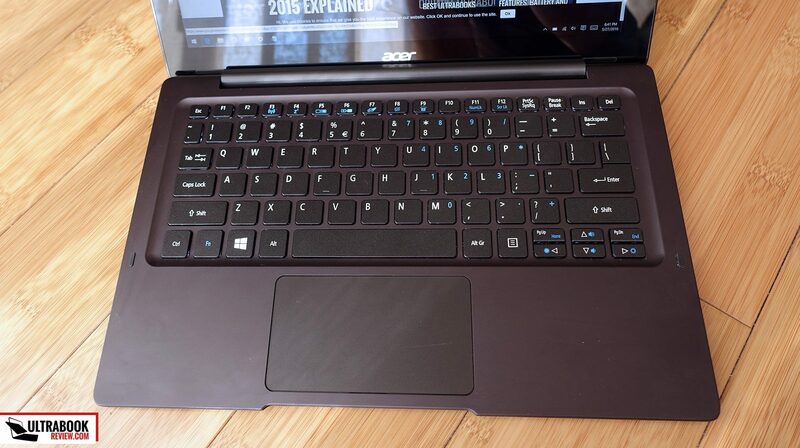 Functionally, the dock includes a backlit keyboard and a large trackpad, which we’re going to address a bit later. There’s no battery on the inside, or any type of storage for that matter, but we do get two full-size USB 3.0 slots on the sides. 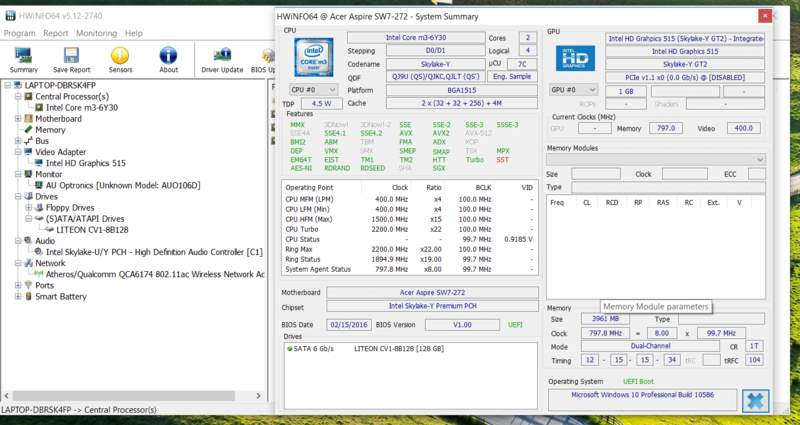 Speaking of that, the Aspire Switch 12S puts most of the IO on the slate itself, like most other detachables. You’ll find them grouped on the right edge: a headphone-jack, a microSD card-reader, a micro-HDMI and a Thunderbolt 3 connector, plus the charging pin, while on the other edge Acer placed the Power button, the volume rocker and the Windows home button. 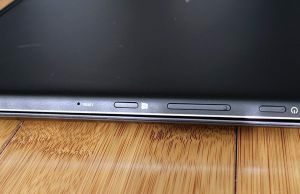 As for the other features, you’ll notice the speakers are on the front-face, under the screen and flanking the hinge in laptop mode, while on the back there are a multitude of lenses, as the Switch is one of the first devices to bundle an Intel RealSense Camera (a long range R200 camera, to be more precise). Personally, I don’t consider it a must-have these days, since there are very few applications that can actually benefit from this technology. For example, you can create 3D pictures of people and objects or can refocus pictures, but not much else, and who takes pictures with a tablet anyway? Still, it might be useful to some of you, so make sure to read more about it if you’re interested. 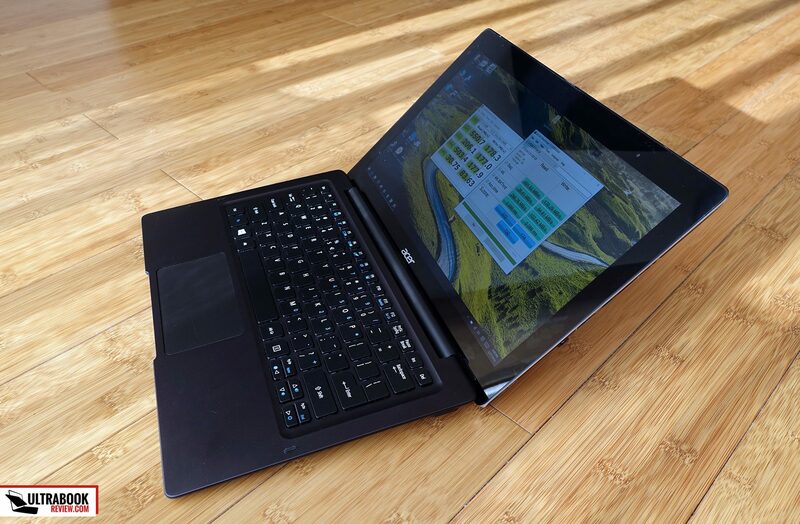 OK, long story short, on the outside the Acer Aspire Switch 12S is a great device. It’s a bit larger and heavier than some of the other options out there, but at the same time feels solid in daily use, includes a well-designed hinge, front-facing speakers and a solid set of ports on the sides. Let’s get back to that keyboard. 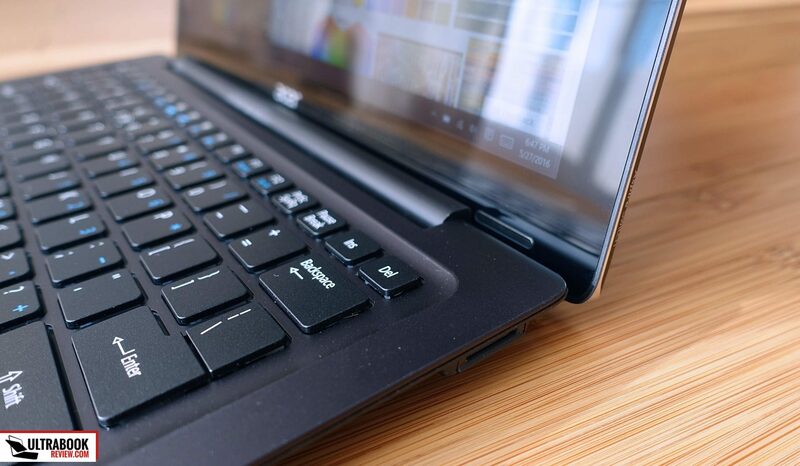 Acer went for the standard layout they’re using on most of their 12 and 13-inch ultraportables these days, with full-size 15 x 15 mm chiclet keys, a smaller row of function keys, no CTRL key on the right side and cramped directional keys mixed up with the PageUp and PageDown keys. It’s a decent layout, once you’ll get used to it. 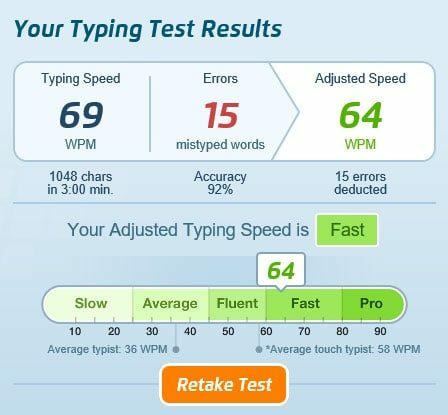 In practice, this keyboard types OK. It’s fast, but not very accurate. 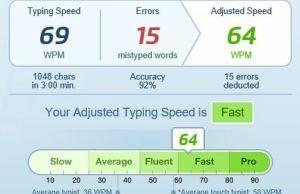 It took me a while to get used to its spongy feedback which lead to a lot of missed strokes in the first hours of using it. 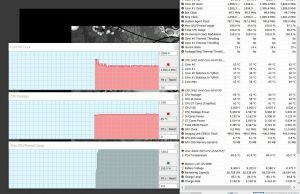 The experience is also loud, much louder than on my XPS 13, and the Space key is not the only noisy one, all of them are. The keys aren’t very study either, and simply walking your fingers on top of them, without pressing any, makes them rattle. One other aspect to mention here is that this keyboard is backlit, but there are no brightness intensity levels to choose from, you can only switch the backlight ON and OFF by hitting FN+F9. 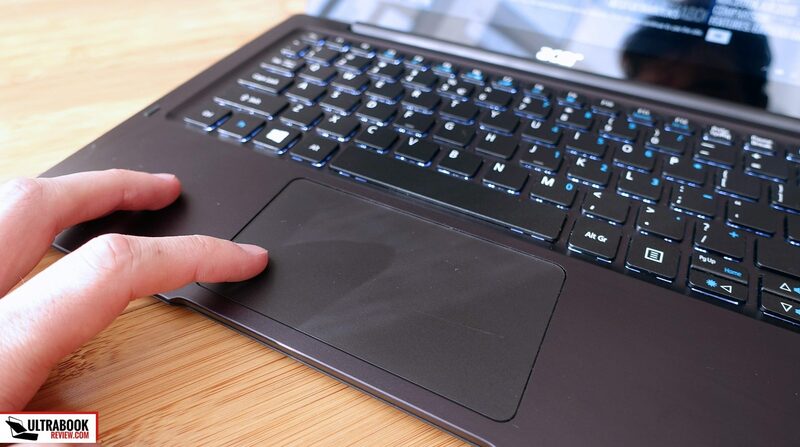 A spacious trackpad sits beneath the keyboards and I don’t have anything to complain about my experience with it. 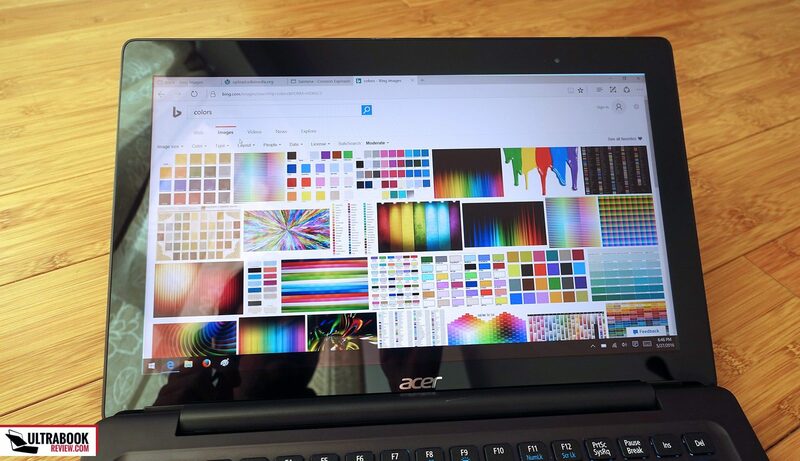 It’s a Microsoft TouchPoint surface from what I can tell, so the options to customize its behavior are limited, but it actually performed well in all scenarios, including light taps, swipes with one finger touching it, gestures, etc. 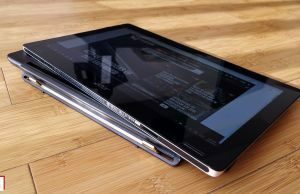 Its surface feels really nice, a solid balance between smoothness and drag-resistance, and it’s not noisy either when tapped or clicked. 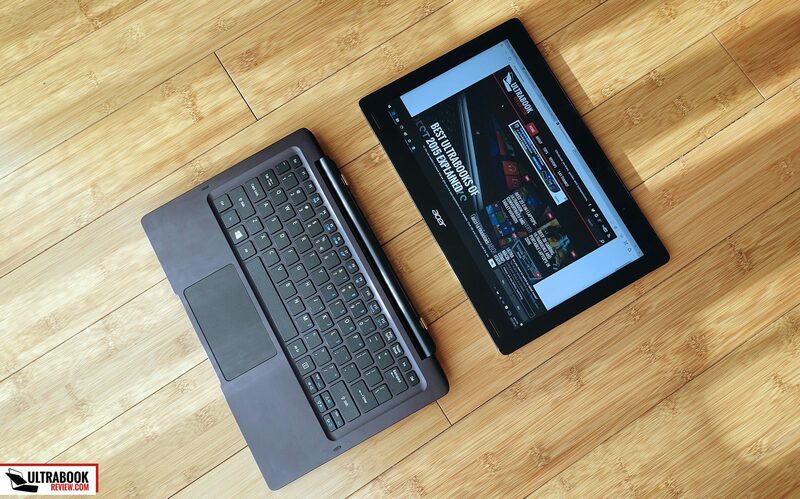 There’s a 12.5-inch display on the Aspire Switch 12S and our model came with a FHD IPS panel. A higher resolution UHD panel is going to be available on some models, but the more basic configurations will get this FHD option. Except for the fact that some of you might want more pixels and the color coverage is average, this display is pretty good. The panel is bright and capable of delivering rich colors and deep contrast, the viewing angles are solid and there’s almost no light bleeding around the edges. 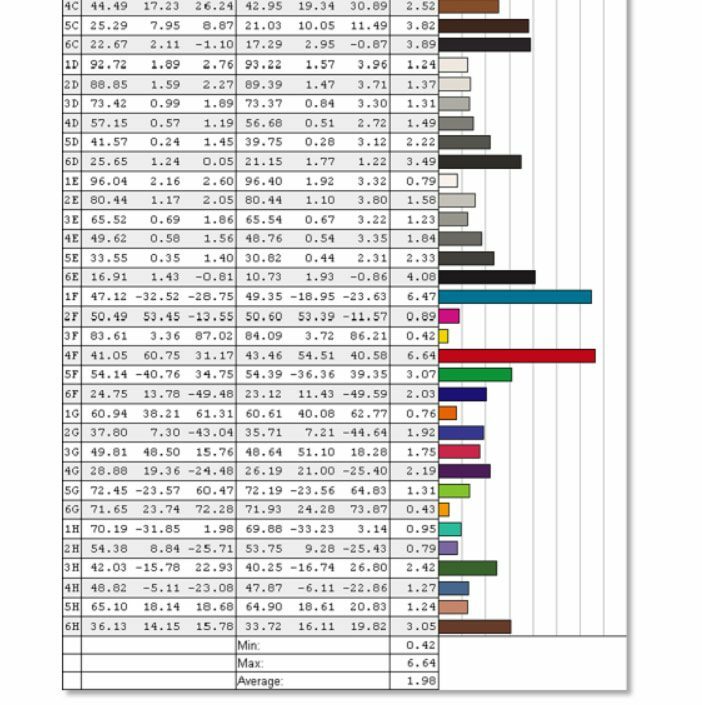 Check out some of our test results below. 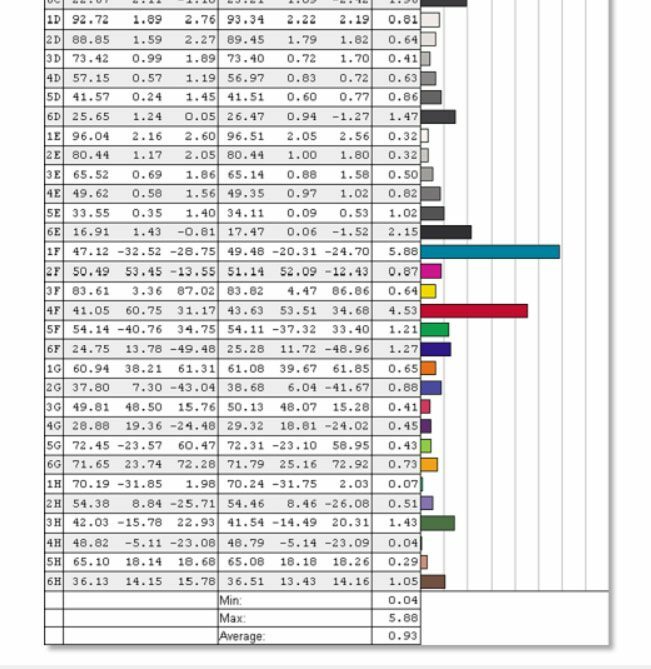 Average DeltaE: 1.98 uncalibrated, 0.93 calibrated. 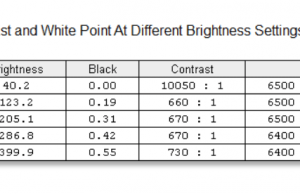 The calibrated color profile is available here. 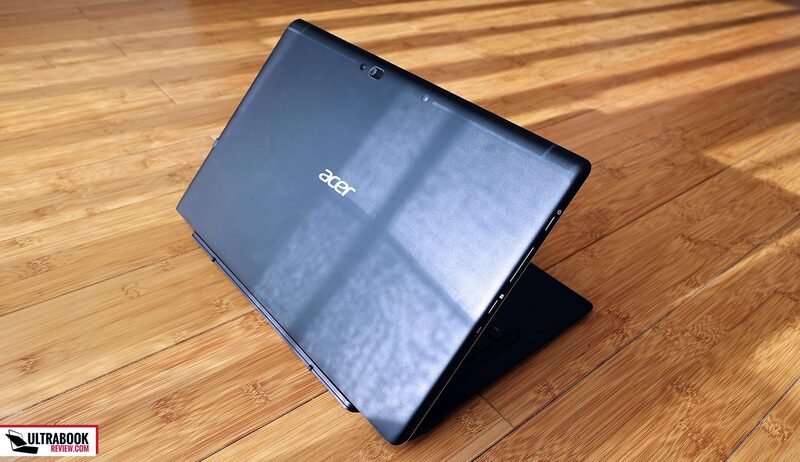 Just like on the Acer Aspire R13, the screen on the Switch 12S is compatible with the Acer Aspire Active Stylus, which supports 256 levels of pressure and is made of aluminum. Some configurations are going to bundle the pen, while other will not. It didn’t come with my unit, so I can’t share anything on how it performs. There’s one more thing to add. 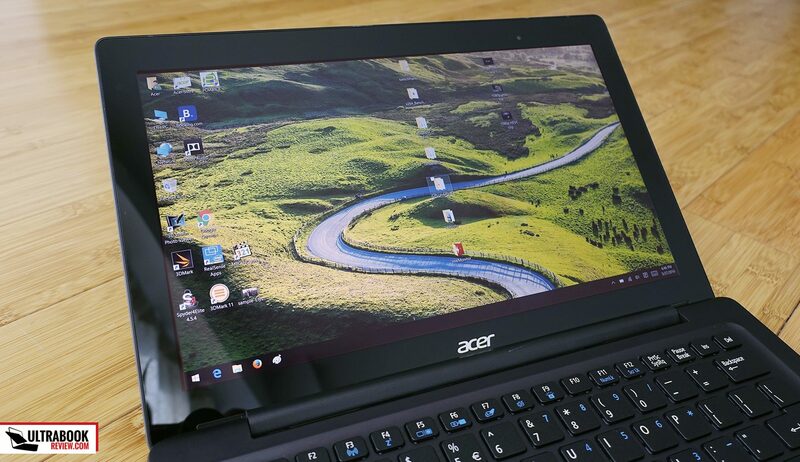 Acer advertises the Zero Air Gap technology implemented on this display, which means there’s little to no space between the actual panel and the layer of protective Gorilla Glass on top, in order to reduce glare. This works, and the screen is actually usable even in bright light, but at the same time leads to warps being easily pushed onto the panel when touching the glass around the edges, which aren’t exactly what I expect to see in a premium and otherwise sturdy built device. 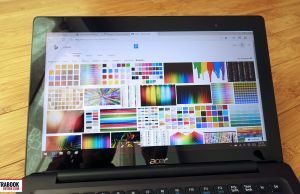 Not something to be concerned of on the long term, but an aspect I wish Acer would have treated more carefully. 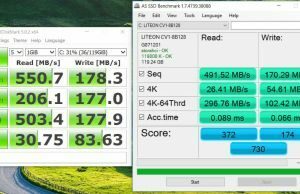 As I mentioned earlier in this post, our test unit is a basic configuration of the Acer Aspire Switch 12S, with an Intel Skylake Core m3-6Y30 processor, 4 GB of RAM and a 128 GB M.2 SATA SSD. 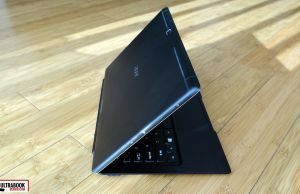 Higher end configurations will include a faster Core m5-6Y64 processor, 8 GB of RAM and 256 GB of storage space. None of the components are upgradeable on these computers, so make sure you get what you need from the beginning. Another important aspect to mention is that our review unit is a pre-production model and we spent time with it before the final retail versions were available in stores, as a result we had to deal with immature drivers which actually had an impact on peak performance. Even so and even with a Core m3 processor and only 4 GB of memory, this computer was able to deal with daily tasks just fine, as long as we didn’t throw too much at it. 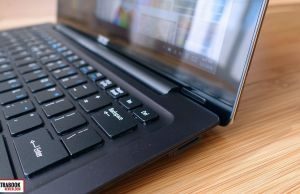 It could handle video content of all sorts, including 4K and HEVC clips, it did well while editing documents and browsing with a few tabs open and it also handled audio and video streaming from Netflix just fine. 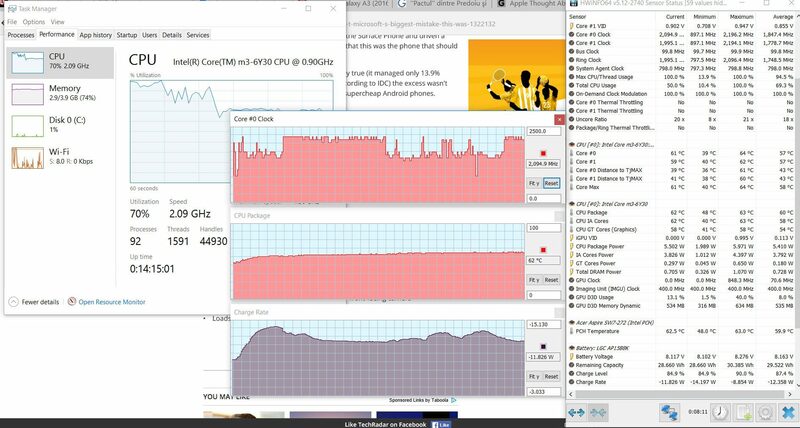 However, once you push multitasking and try to work with 10+ tabs open at the same time, Word, Skype and an Antivirus in the background, this thing is going to start to choke, with the CPU’s load often peaking to 100%. 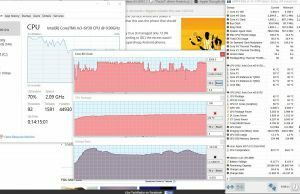 As for games and other demanding software, you’ll probably not want to deal with them on such a computer. 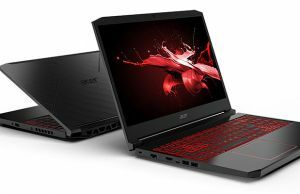 Still, since this comes with a Thunderbolt 3 connector, you could hook up something like the Acer Graphics Dock and get a decent gaming experience on the Switch 12S. 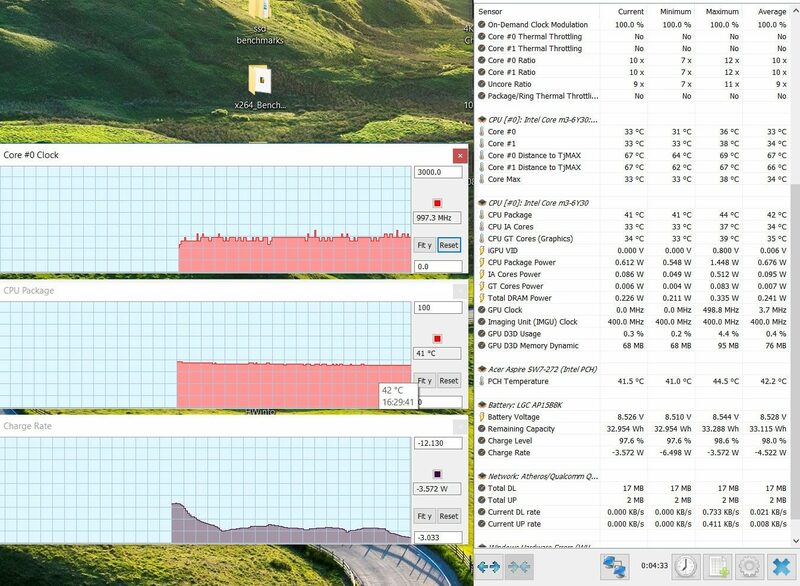 But I’d get the Core m5 configuration with 8 GB of RAM if I were planning on using such accessories. 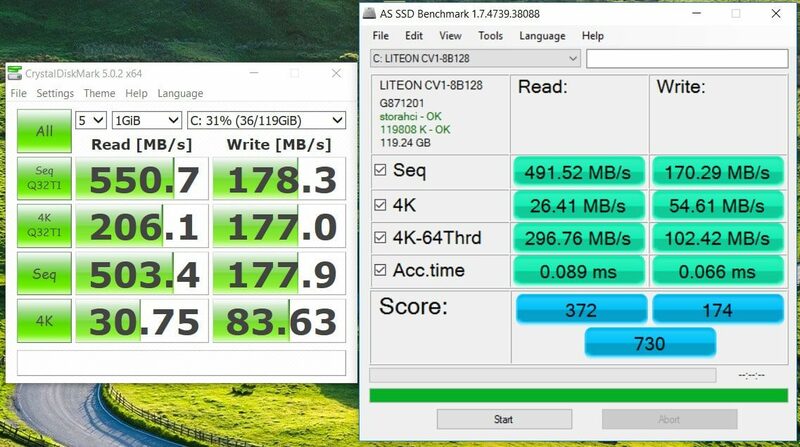 I’ve ran a couple of benchmarks on our test unit, but take them with a grain of salt, as they are 15-20% below what the Core m3-6Y30 processor is actually capable of delivering. 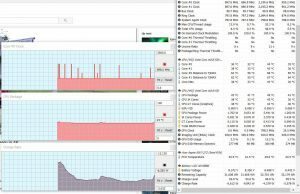 Again, we dealt with a pre-production unit here which tended to limit its speed at high loads to 1.5-1.6 GHz, which explains the discrepancies. 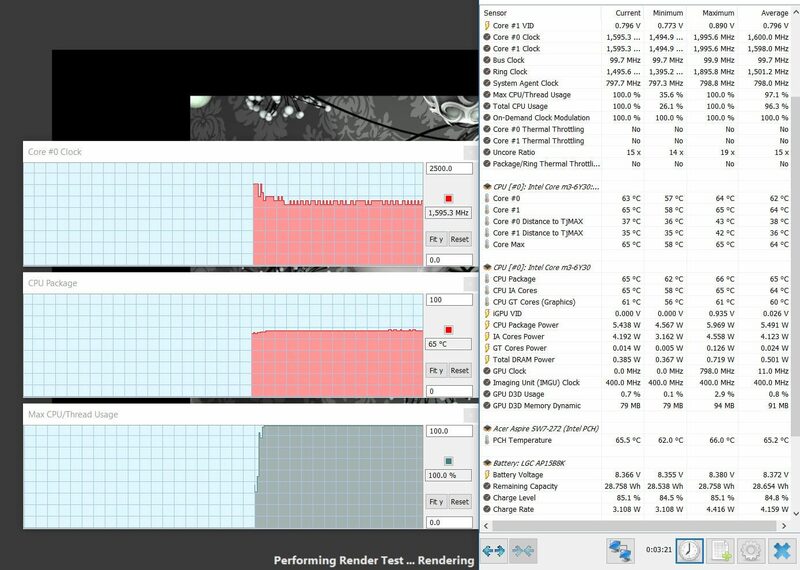 CineBench R15: OpenGL 23.80 fps, CPU 169 pts, CPU Single Core 88 pts. 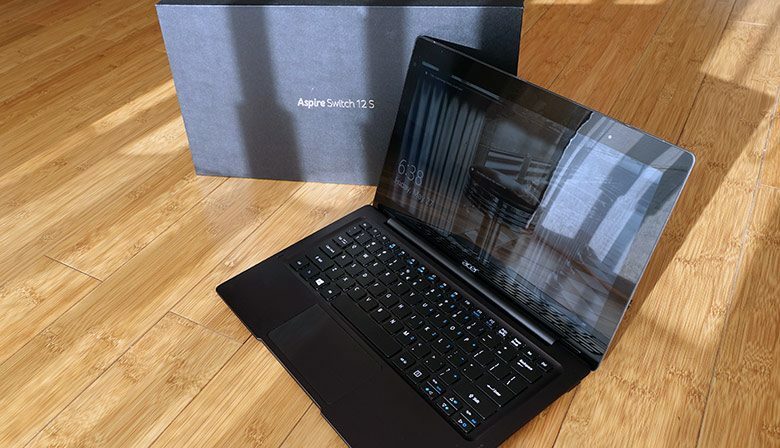 We’re not going to get more indepth here, but we’ll update this section if we get to test a retail version of the Aspire Switch 12S. If we don’t by the time you’re reading this, make sure to check out some other reviews for more up-to-date performance results. 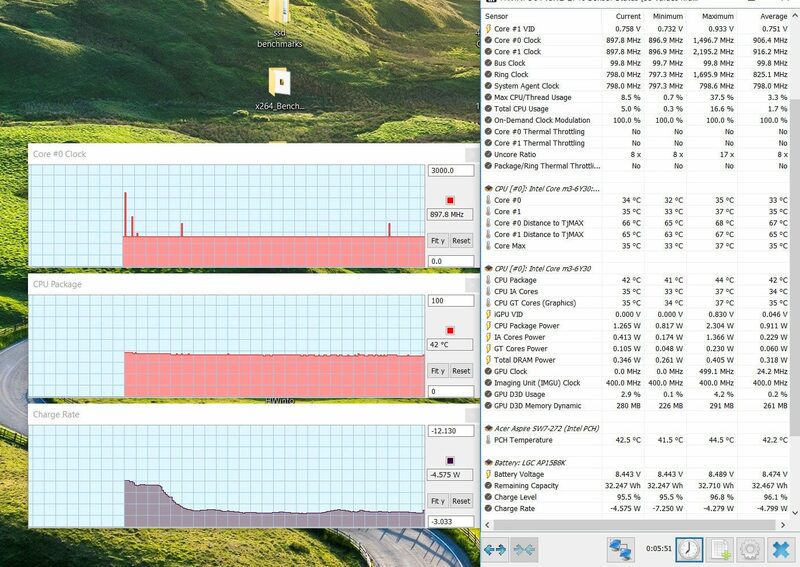 Since this machine is powered by a Core m3 processor, there’s no fan inside. And since there’s no mechanical storage drive either, the Switch 12S is dead-quiet in every scenario. 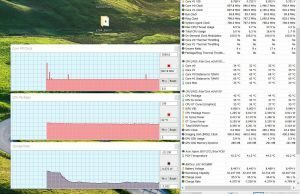 It tends to run decently cool as well, with the case reaching temperatures of around 35 degrees in daily use, and about 40 when charging the device or pushing it with heavier multitasking. 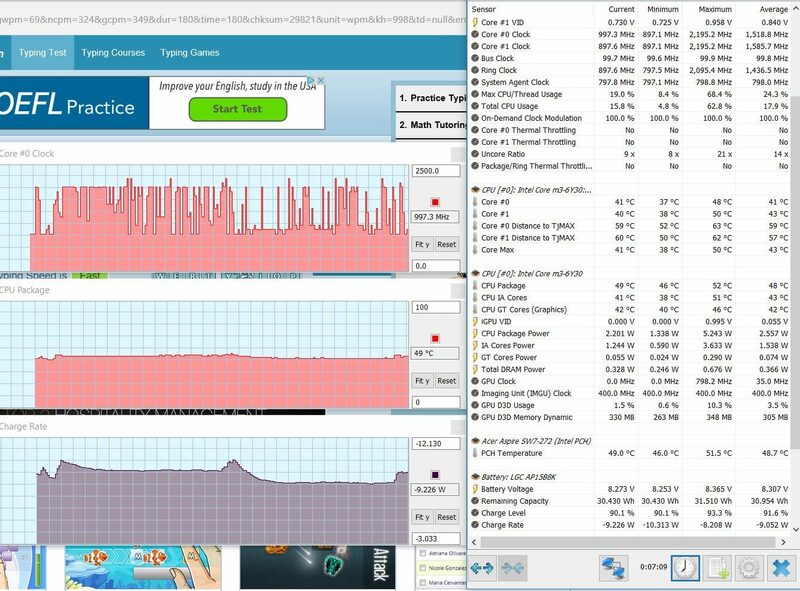 I do expect the final retail units to run a bit hotter, since our test unit did not run at the best of its abilities, with the CPU clocking down under heavy use, but even so, case temperatures will only be a slight concern when you’ll use this in tablet-mode, cause in laptop-mode you’re not going to come in touch with the screen or the slate’s back, and the keyboard dock remains cool all the time, since all the components are squeezed in the actual tablet. Connectivity wise there’s Wireless AC and Bluetooth on the Switch 12S, with 2×2 MU-MIMO antennas for extra range and signal strength, pretty much a given on most modern Acer devices. 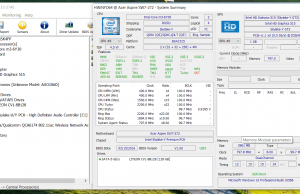 In practice, the Qualcomm Atheros QCA6174 Wi-Fi implemented on the Switch 12S works fine. It maxes out my router speeds when in close proximity and maintains decent speeds at 30+ feet with obstacles in between. I haven’t encountered any drops either or any issues when resuming from sleep. 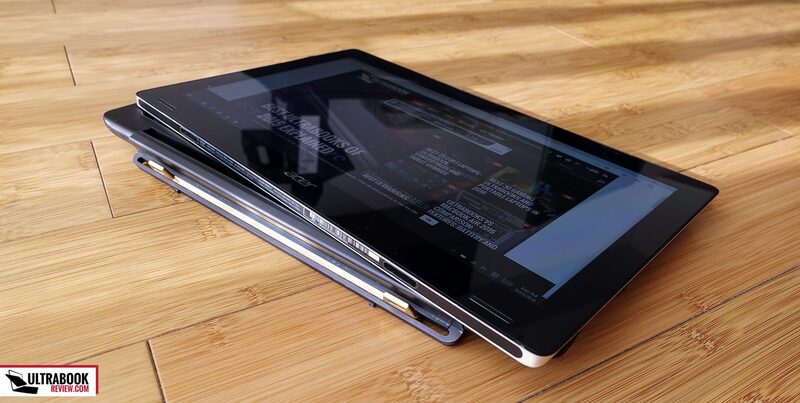 There’s a set of front-facing speakers on this tablet, placed beneath the screen in such way that they are not distorted by the hinge in any way in laptop-mode, or by your hands when holding it in slate-mode. The sound coming out of them is pretty skewed though, and although you can mingle with the output from the Dolby Audio app included, that didn’t help me much. 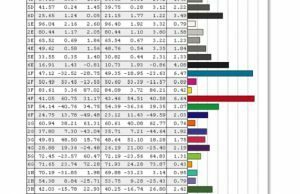 Lowering the volume under 50% and choosing the Speech preset offered the best results in my case, but I couldn’t quite get these speakers to sound natural and clear in songs, movies or commentaries. There’s a fair chance this might be an issue with our pre-production sample, so take it with a grain of salt and double check with other reviews. Last in this section is the webcam. It’s not bad, but it isn’t center placed and as a result you’ll have a hard time framing yourself properly in calls if you also want to use the machine at the same time. Oh, and this is not a RealSense webcam, the Switch 12S only gets a RealSense camera on the back, as I mentioned earlier. 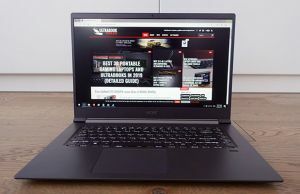 Acer put a 35 Wh battery on this computer, which is rather small by today’s standards and as a result the battery life is decent, but does not impress. We’ve set the screen’s brightness at 30% for our tests, which is about 120 nits. 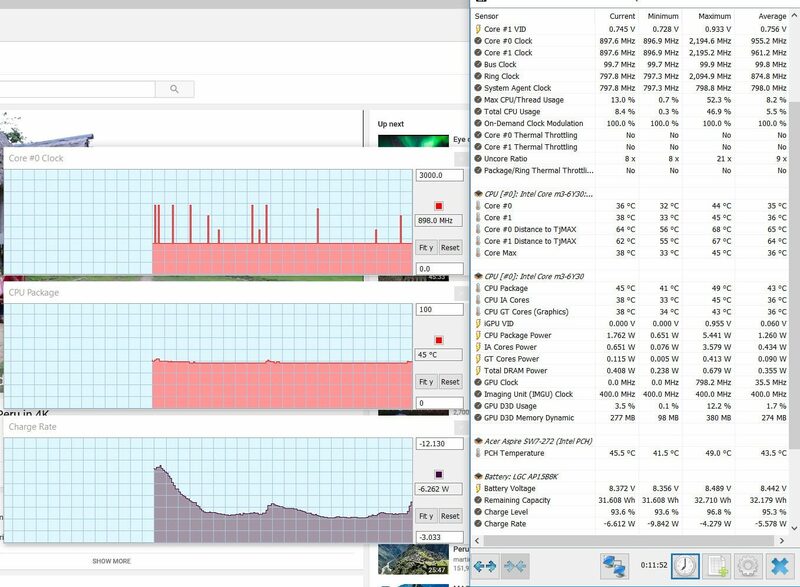 12 W (~3 h of use) – heavy browsing in Edge, Balanced Mode, screen at 30%, Wi-Fi ON. The Switch 12S is bundled with a brick-shaped 45Wh charger and a full charge takes more than 2 hours. 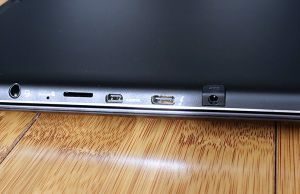 The charging pin is placed on the right side, which I’m not a fan of, but at least it’s the lowest of the ports placed here, which means it’s not going to interfere with the other connectors. 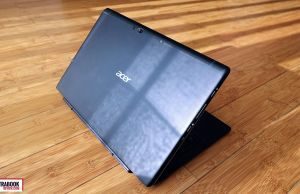 The Acer Aspire Switch 12S is only available in a few parts of the world at the time of this post. 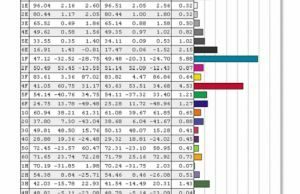 Shops in Europe for instance list the Switch 12S in the configuration tested here for 1200 EUR, while the version with a Core m5-6Y64 processor, 8 GB of RAM, a 256 GB SSD and the FHD IPS touchscreen goes for a whopping 1400 EUR, which to be frank, is pretty insane. 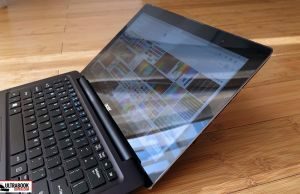 1400 EUR can get you a Core i5 / 8 GB RAM / 256 GB SSD version of the Microsoft Surface Pro 4 + Keyboard Folio, while alternatives like the Samsung Galaxy TabPro S or the Lenovo Miix 700 are much cheaper, albeit for lower end configurations, as Core m3 / 4 GB RAM / 128 GB SSD models sells for under 1000 EUR. I’ll update this section once the Switch 12S is also available in the US. When we draw the line, the Acer Aspire Switch 12S is a pretty good hybrid ultraportable, but with the exception of its sleek case, solid build quality and few modern, yet no must-have features, there’s nothing really extraordinary about it. That’s why it needs a serious price cut to become an option worthy of attention. 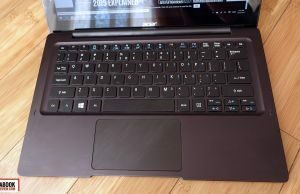 Back in early-2015 I reviewed the Asus Transformer Book T300 Chi, with whom this Switch shares many traits: both are sleek detachables with metallic bodies and 12.5 screens, both include a good keyboard dock, both are built on Core M processors and both bundle a medium-sized battery. The T300 Chi was never updated to Skaylake hardware though, mostly because the original model was poorly received by customers, despite selling for as little as $500 (600 EUR across the pond) for many months. 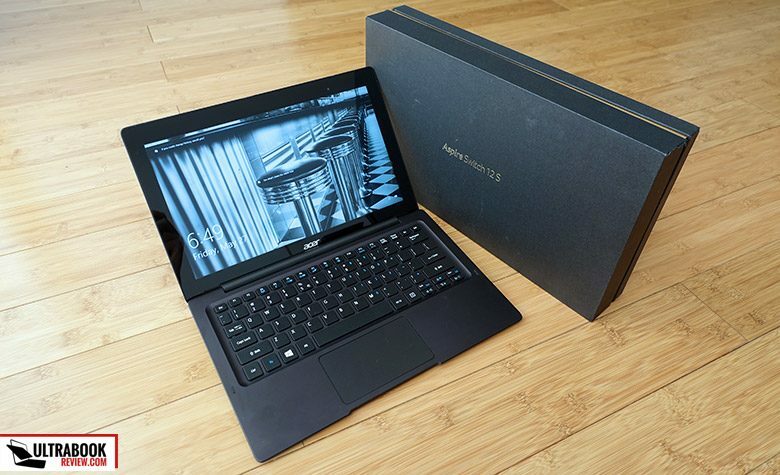 The Aspire Switch 12S is an upgrade for sure, with a better designed dock and more diverse IO. 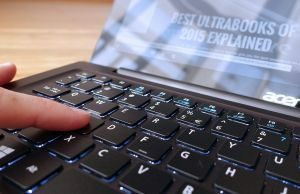 But even so, it trails its current competitors (Microsoft Surface Pro 4, Samsung Galaxy TabPro S, Lenovo Miix 700) when it comes to the overall footprint and weight, screen resolution and panel quality, performance or battery life. On top of these, it is significantly more expensive. Yes, it offers features like the RealSense 3D camera, the Thunderbolt 3 port or the improved wireless antennas, but these aren’t nearly enough to justify the price. 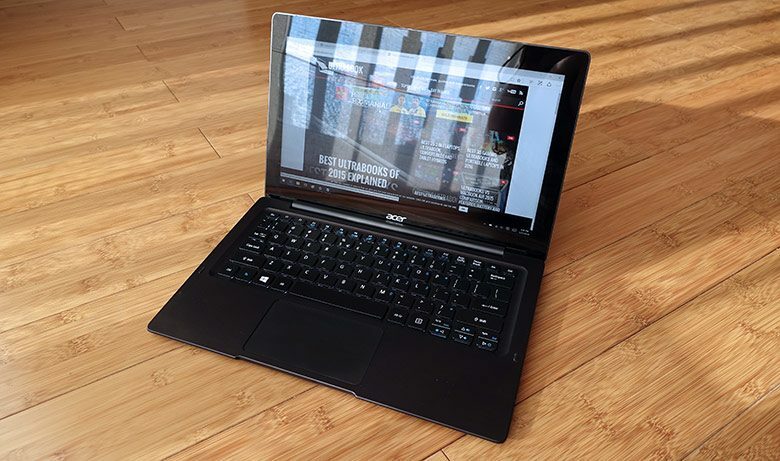 So bottom point, for the right price, the Acer Aspire Switch 12S could be a good buy, as long you’re OK with its heavier body and other few small shortcomings. 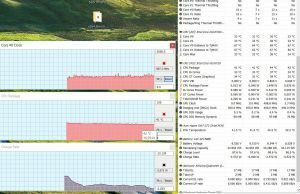 But it needs to drop by at least 200 EUR imo before even beginning to consider it, otherwise, for the 1200 EUR Acer asks for a Core m3 configuration at the time of this post, you can find better value elsewhere. That’s about it for now. Let me know what you think about the Switch 12S in the comments down below, where I’ll also reply to any of your questions. And if you’re interested in getting a fanless hybrid, you might also want to check out our list of recommended 2-in-1 convertibles and our detailed list of fanless ultraportables. 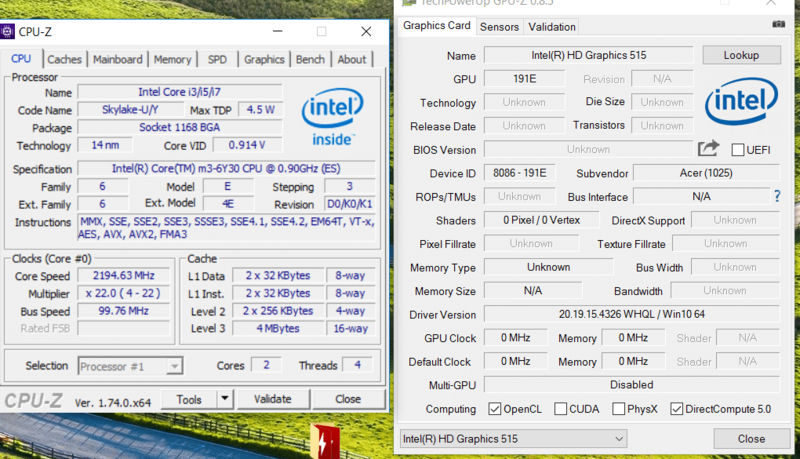 But is this the same model that goes up to an i7 but fanless. Im looking at a detachable fanless with thunderbolt 3 that can take external gpu. 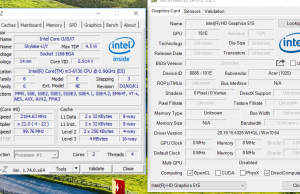 Although with kaby lake starting to launch im not sure.